The people’s republic of China has a major impact on almost any industry of the world. 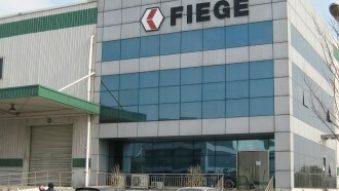 Fiege supports its customers to source from, produce in or sell to China. Our locations are situated anywhere from the Pearl River Delta across the vibrant city of Shanghai and its neighbouring provinces to Beijing. Our freight forwarding unit moves thousands of shipments day by day, per sea, air or rail. China is the leading manufacturing country in the world. Hence, our Industrial Business Unit supports sourcing, consolidation and export as well as production logistics and domestic distribution. Our industrial customer base includes leading domestic and International manufactures in machinery and automotive. Our mission is to raise their efficiency. China also became the largest and most dynamic eCommerce market globally in 2014. Fiege masters domestic and cross-border supply chain solutions for webshops, marketplaces and brands who sell to Chinese individuals. Our eCommerce service portfolio ranges from payment, customer service and fulfillment to warehousing and last mile distribution.